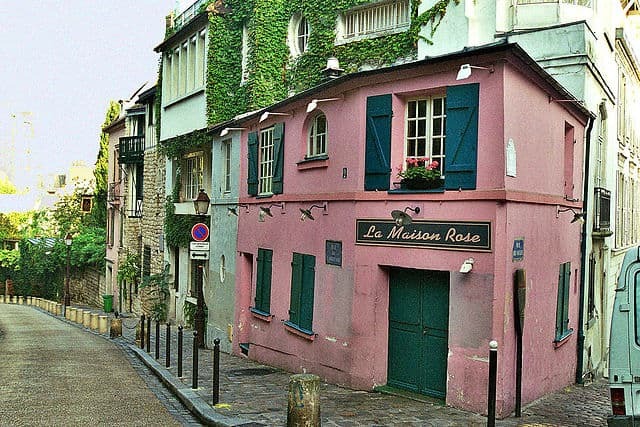 If you’ve ever walked around the neighborhood of Montmartre in Paris, you’ve probably stumbled upon La Maison Rose. 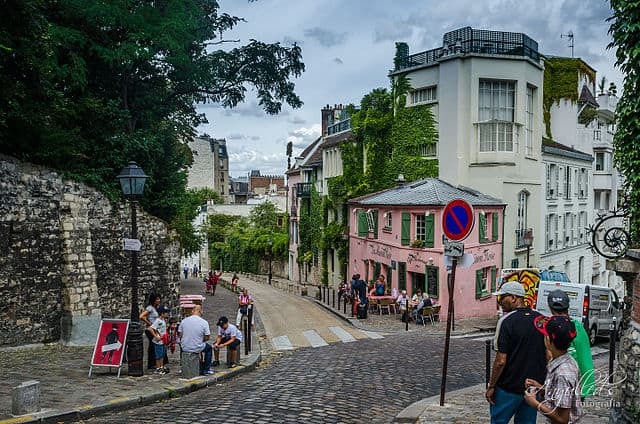 It’s that really cute pink house nestled on the corner of a winding cobblestoned street, and it is arguably the most photographed house in Montmartre. 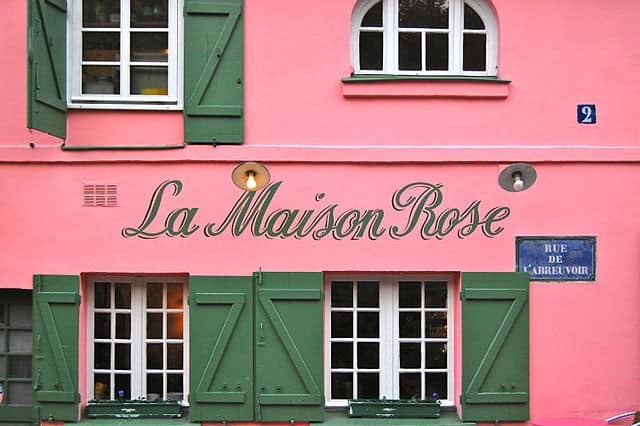 La Maison Rose translates literally to The Pink House, and it lives up to its name. My thoughts when I walked by this place for the first time? First, that it was adorable, and secondly, that I knew there had to be an interesting story behind it! 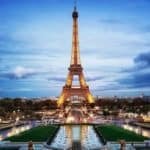 I love learning more about recognizable landmarks in Paris, and La Maison Rose is no exception. Are you interested in learning more? 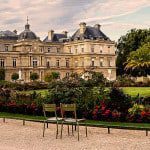 Keep reading to discover 10 historical facts about La Maison Rose, with me! La Maison Rose has been around for quite a while! I’m talking before Montmartre was even a part of Paris. Montmartre was a community in and of itself until January 1, 1860. 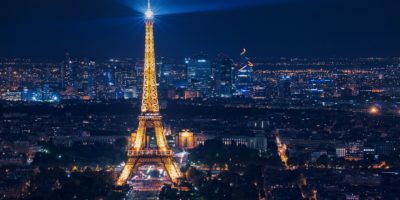 It was then annexed to the city with other communities as a part of Baron Haussmann’s efforts to bring Paris together and make it more organized as a whole. 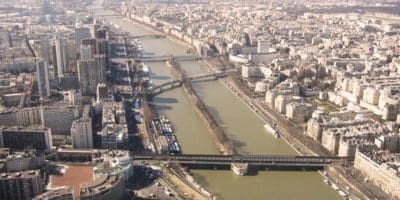 While these changes were widely challenged by Parisians at the time, they quickly began to appreciate everything that Montmartre had to offer! 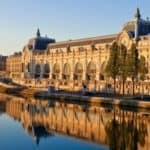 Cafés, restaurants, cabarets and theatres opened across the new 18th arrondissement, and became a haunt for artists and writers alike. I can totally see why! La Maison Rose has been open for well over one hundred years, but no one knows the exact date it was built. 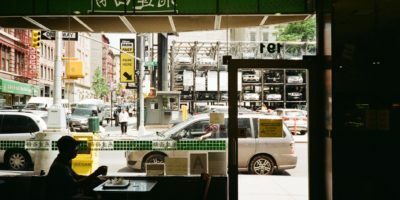 What is known, however, is that the café has been serving coffee since it’s beginnings, and was also once a boarding house where local writers could eat inexpensively. As you’ll see, La Maison Rose has always had a close relationship with the writers and artists of Montmartre! The exact date that La Maison Rose opened is unknown, but historians guess that it was somewhere around 1850. 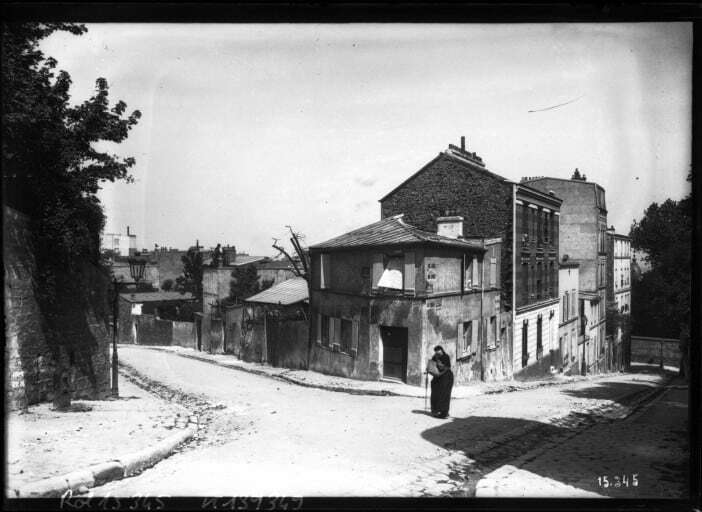 There are photos that date back to 1870 and 1887, where you can see a very different, somewhat empty looking Montmartre! If the date that La Maison Rose was built is a unknown, the question of who the first owners is a complete mystery! The first owners known to historians were recorded in 1905, but I’ll share more on that later. When La Maison Rose was purchased in 1905 by Laure Germaine and husband Ramon Pichot Girones, the building was your average beige color. Germaine was always an artistic person, and was once Picasso’s muse and lover (more on that story later). 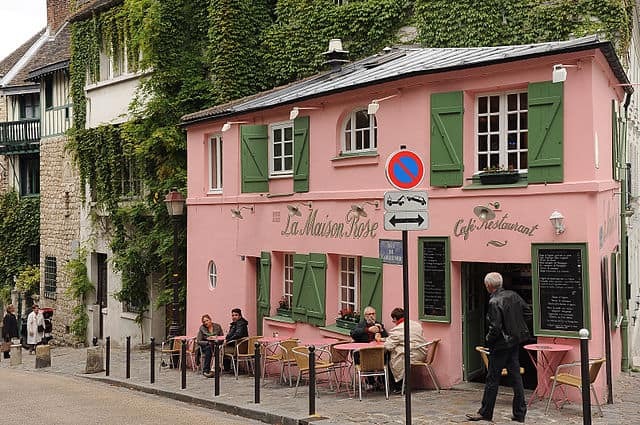 She decided to paint the building pink, add the words La Maison Rose déjeuners & diners (lunches and dinners) written in green, with shutters painted in the same shade to match. Although La Maison Rose was purchased by Germaine and her husband in 1905, by examining photos taken at the time, it seems that the café was not remodelled until 1920. In fact, a postcard from 1910 shows La Maison Rose in a sad condition, with dirt caking the facade and no signs that is is a restaurant. 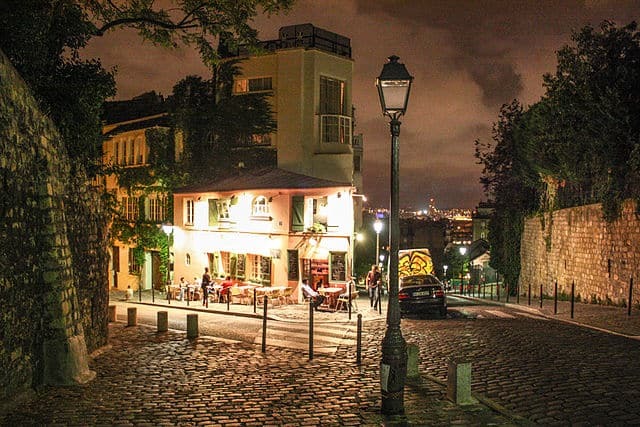 Once it was remodelled, the artsy establishment blended right into Montmartre, which was known as an artists haven in Paris throughout the 19th and 20th centuries! It can sometimes seem that Paris is a city that is always changing, yet remains the same. While there have been plenty of construction of improvements in Montmartre, the integrity of the city as it was in the 19th century remains. La Maison Rose has always existed on the corner of rue de l’Abreuvoir and rue des Saules, and it’s structure has not changed a bit since then. 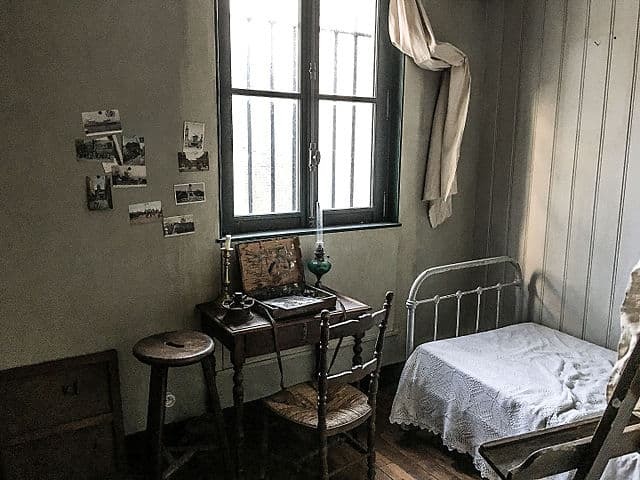 In the early 1930, the house was nearly knocked down due to a new construction project put into place in Montmartre, but La Maison Rose was saved, probably due to the insistence of Germaine. The café and restaurant was there to stay, and this was confirmed after the building was attached to the next door Art Deco villa on rue des Saules. I’ve briefly mentioned La Maison Rose’s first known owners, Laure Germaine and Ramon Pichot. I’ll spend some more time talking about them in the next section, I promise! But, one thing that I found really interesting about Pichot is that he was a famous Spanish painter, who nurtured a 10 year old Salvador Dali, when he was just beginning to paint. Pichot is very well-known in his native Catalona, Spain. Pichot was also known to have regularly spent time in Cadaquès, where he met Dali’s family. 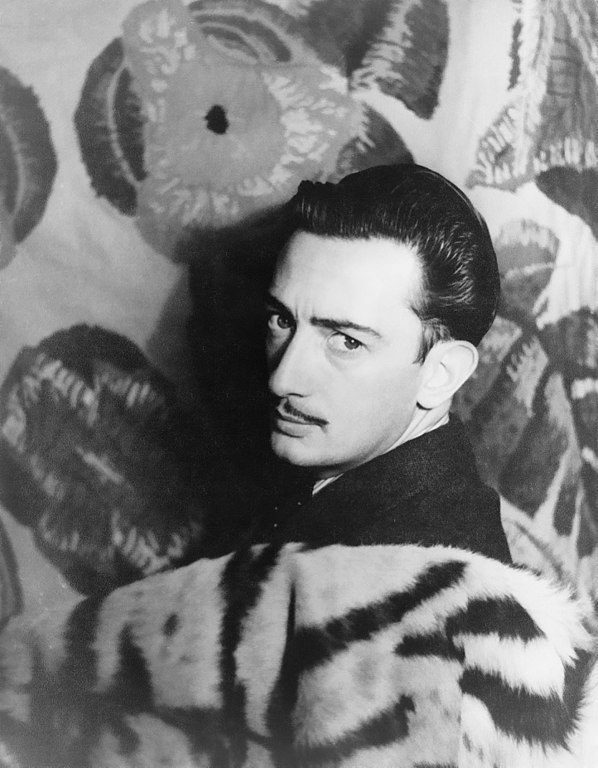 He quickly became like a mentor to Dali, when he was just beginning his artistic journey. 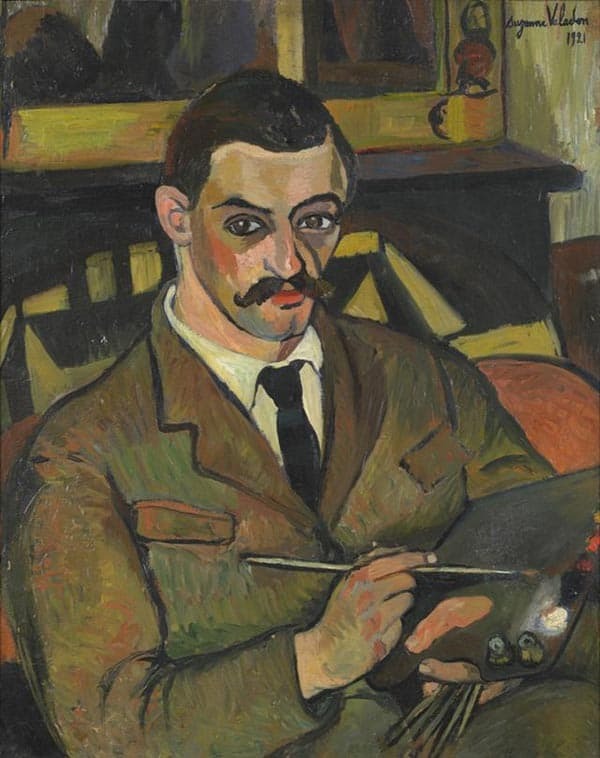 Something that always shocks and amazes me when learning about painters, artists, and writers in the 19th and 20th century is that they all seemed to know one another. 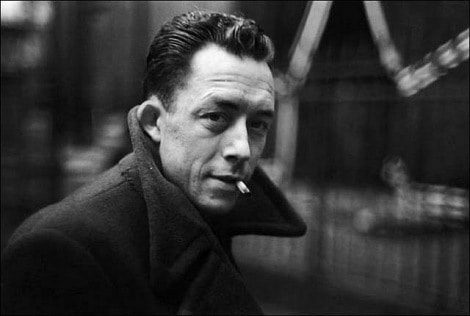 To be an artist in this time period was to be a part of a very tight-knit community. But, as you’ll find out if you keep reading, sometimes disagreements and disputes can break out among the community, and end in tragedy. 6. Who was also a friend of Picasso! Drumroll please…finally, the story of Laure Germaine and Ramon Pichot! The couple is quite an interesting one, as Germaine was the former love interest of Picasso’s best friend, Carlos Casagemas. The pair met in Spain and soon became close friends who began to travel to Paris together. It was in Paris that Picasso and Casagemas met Germaine, who was a dancer at the Moulin Rouge. Casagemas quickly falls in love with Germaine, but she is not interested in him. Casagemas becomes obsessive, and Germaine constantly had to fight off advances from him. Tragically, one day when Germaine is at a cafe, Casagemas arrives and begs her to be with him, one last time. She stands her ground in saying no, and Casagemas shoots himself there on the spot. After Casagemas’ death, visiting Germaine is like a comfort to Picasso. Eventually, Germaine becomes a muse for Picasso. Even in their old age, the two remain close friends, and Picasso was often found at La Maison Rose! Picasso wasn’t the only artist to visit La Maison Rose on a regular basis. 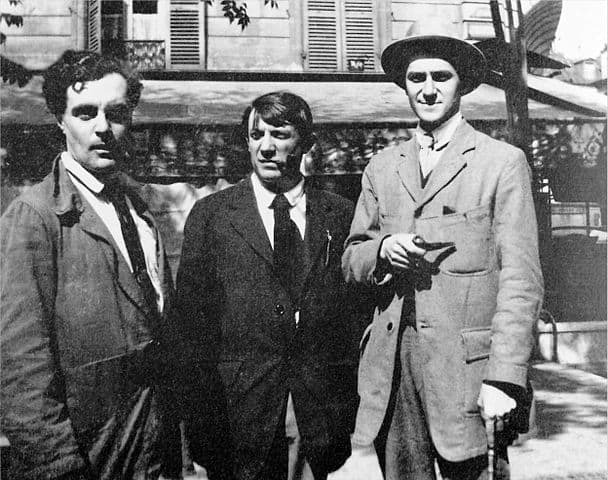 Albert Camus, Suzanne Valadon, and Maurice Utrillo are just a few of the writers and painters who could be found at La Maison Rose, and Utrillo in particular has a special relationship with the restaurant & café. 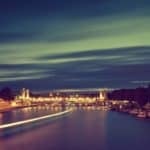 Today, Montmartre is more of a tourist destination than an artists haven, but there are still plenty of places worth checking out if art is your thing. 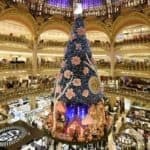 There are quite a few museums, and one can’t forget the Place du Tertre located just next to the Sacré Coeur cathedral, where you’ll find dozens of artists selling their goods in the square. Montmartre itself has been represented by artists throughout the 18th, 19th and 20th centuries. Heavyweights such as Auguste Renoir, Edgar Degas, Paul Cézanne, Max Jacob, Guillaume Apollinaire, Georges Braque, Pablo Picasso, Suzanne Valadon, and Maurice Utrillo have all spent time in the 18th arrondissement and have brought it to life with their pens or their paintbrushes! This of course includes interpretations of La Maison Rose. Maurice Utrillo and Bernard Buffet in particular produced paintings of the restaurant & café. Before La Maison Rose was renovated, painted pink, and plastered with it’s name, artist Maurice Utrillo painted the establishment as he saw it in 1916. He dubbed his painting La Maison Rose, and their are some historians that believe owner Germaine loved the idea so much that she in turn painted the building pink. When Germaine sadly died of syphilis in 1948, the restaurant was bought by Béatrice Miolano, otherwise known as “Toutune”, who owned La Maison Rose for 25 years. 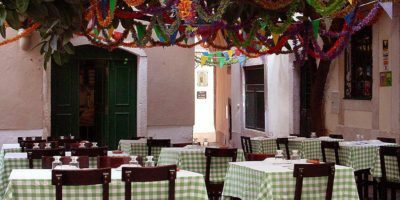 Under its new management, the restaurant morphed into a tourist trap, and locals stopped visiting. In 1970, La Maison Rose was even painted white! The name was stripped from the side of the building, the simple word of RESTAURANT was painted on, and La Maison Rose remained only in small letters over the door. Today, the restaurant is owned by Laurence Miolano, Bétrice’s granddaughter. La Maison Rose reopened after renovations and improvements in early 2018. Laurence prides herself on bringing the local spirit back to the restaurant, and hopes to draw locals in! 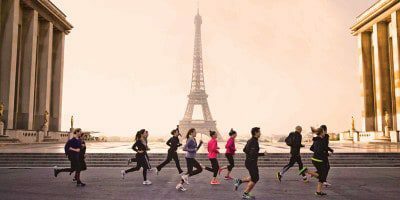 The next time you take a wander through Montmartre, and you pass by La Maison Rose, I hope you think of everything you’ve just learned from this article! Montmartre is one of my favorite parts of the city, and I love sharing everything I know with you all here. 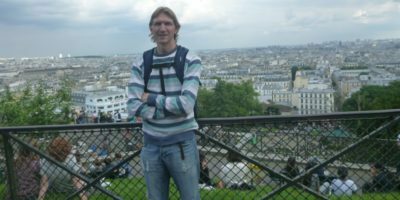 Are you interested in exploring Montmartre with one of our guides? Click here to learn more about our walking tours!